Thank you for your email and we understand your concern. The vacation packages offered by BookVIP are amazingly affordable because the participating resort partner is paying the 70% discount in exchange for your time during the 90-120 minute preview. The resort schedules the presentation based on the number of guests required to attend presentations each day, and BookVIP has no control over the time or length of the presentation. 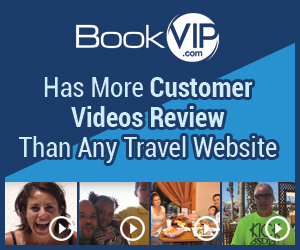 As the booking company, BookVIP has no control over the resort’s calendar or schedule. Although your schedule tour time and date was clearly indicated on the Resort Confirmation which was sent to you only 3 days after booking, you did not contact the resort directly to request a new tour date and time, nor did you contact BookVIP to change your travel dates. It is clearly stated in the Reservation Details that you agreed to in writing that failure to attend the presentation will result in a penalty. We send over 500,000 people on vacations each year and the only issues we have is when customers try to circumvent the resort's requirements for the promotional package. I booked a trip for 3 days on a special they were offering for 4 days. I filled out the reservation online and also spoke to a few different people at bookvip told them several times I would only be there for 3 days. When they called to confirm I again told the girl that I was checking out the day before; she said no problem they can fix it for you when you check in. Ok, no big deal; until I get there and they have my tour set up for the day I was leaving after I would already be gone. I spent the first 3 huurs of my vacation back and forth on the phone with bookvip and westgate both passing the buck on to the other company. The girl at westagte that handles the tours wanted to do nothing to accommodate me. I didn't like: Any of it. Review #1087287 is a subjective opinion of codylan01.